No more PVC Yoga Mats! 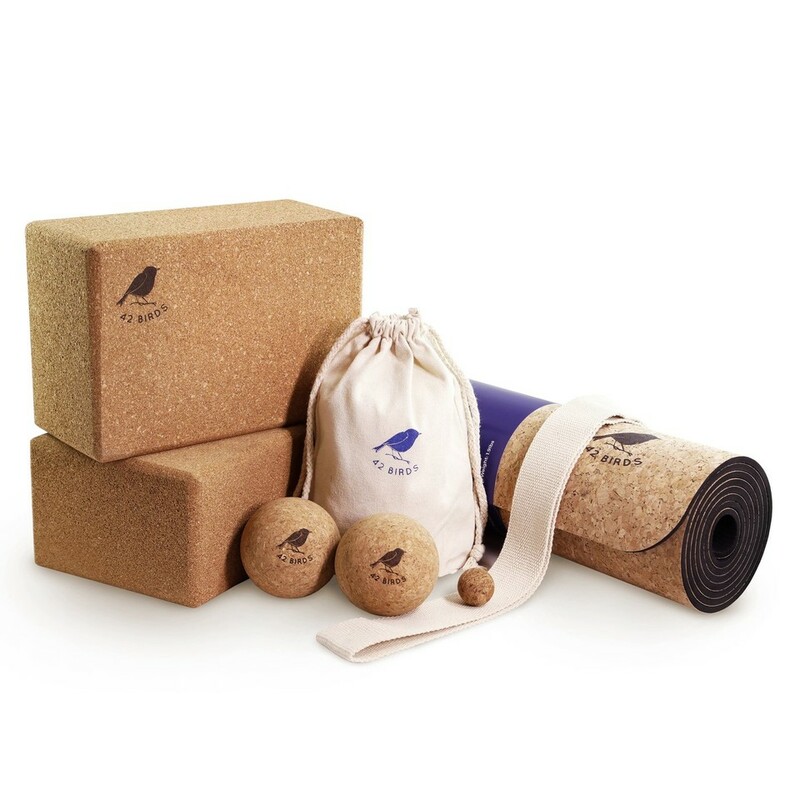 42 Birds Cork Yoga Mats are Grippy, Lightweight and Good For The Earth! 42 Birds is the premier cork yoga mat company. We are a fast growing company because we always put the customer first. A customer-centered shopping experience has always been our goal and we pride ourselves in our comprehensive policies that have put us in a realm above and beyond our competitors. Shop with us today and receive a Special Discount! Cork gets grippier with moisture and is ideal for hot yoga and people who slip due to sweat. You can finally ditch that annoying towel! No need to clean your mat with nasty chemicals! Cork has great natural antibacterial properties, that help to keep it clean and eliminate bacteria. 100+ 5 star reviews in just 3 months. We are so touched people love our products. We love giving the yoga community products they can be proud of. Cork is one of the most magical materials on earth. Antimicrobial, anti-static, anti-allergenic, grippy, lightweight and beautiful - you will feel more grounded practicing on a natural surface. Our biodegradable foam is latex and pvc free allowing you to practice without harm. It's also super lightweight and easy to roll up! THIS Mat is Beyond... I love the look. I love the natural sustainable cork material that adds an awesome elemental vibe to my practice. There's no foul new-mat odor - YAY! I use a little lemongrass and water spritz at the top and bottom of my mat to start, and I'm totally gripped by 42 Birds - rockin' "The Robin" for the 90-minute duration of my hot yoga practice! I've got a dozen yoga mats of eco-friendly varieties from other brands, but THIS mat performs beyond my high expectations. "The Robin" naturally provides a better foundation for my best practices. So happy I found 42 Birds! I absolutely love this mat. It’s lightweight, it soaks up sweat as advertised and doesn’t hold any odors from workout to workout. This is by far the best mat I’ve purchased and would purchase time after time again. I love my new 42 Birds Yoga mat, it has completely changed my level of practice & abilities on the mat! It's a conversation starter as well, most people haven't heard of the company or seen a cork mat before & the 30 day trial period is worth exploring what it can do for you!👍👍way up!! Shop with us today and feel the difference 42 Birds Cork makes! Try 42 Birds products out for 30 days and if something doesn’t work for you, you’ll get your money back! There’s absolutely no-risk in giving it a try. No questions asked, you can get your money back! 5mm thick, yet under 2lbs. A perfect balance of weight, cushion and grip. Our Mat plus 2 Recycled Cork Blocks. The most premium and eco-friendly blocks available. The Ultimate Kit! Mat, blocks and our amazing cork massage balls to relieve all your sore spots.